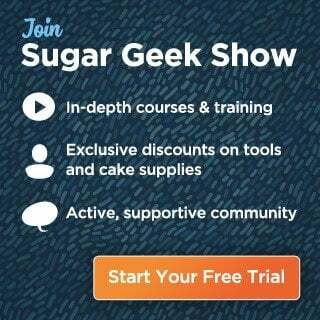 I didn’t know if I would use any of the tutorials on Sugar Geek Show, so I wasn’t sure about signing up at first. Once I did, I found content that helped me see industry trends and helped me with sculpting food as well as structures. I love meeting new members in the facebook group. I love to see creative minds join together and support each other. I found content that helped me see industry trends and helped me with sculpting food as well as structures. I needed motivation and to know what people were ordering. I was not confident in my structure building. The tutorials have sparked my creativity and encouraged me to try new techniques.